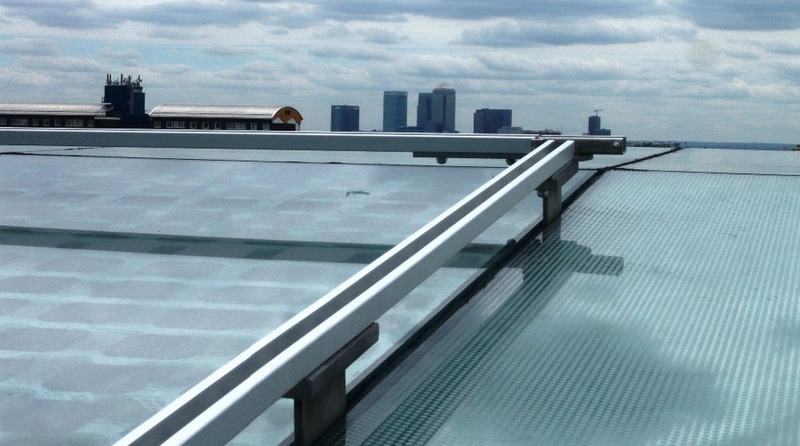 The EN 795 compliant anchorage devices are based on guide rails and provide a safe working environment for people working at height, such as on roofs. The worker wears a full body harness and uses a lanyard (or other connector compliant with EN 354/ EN 355) to connect to the eye of the shuttle, which travels along the GlideLoc rail. 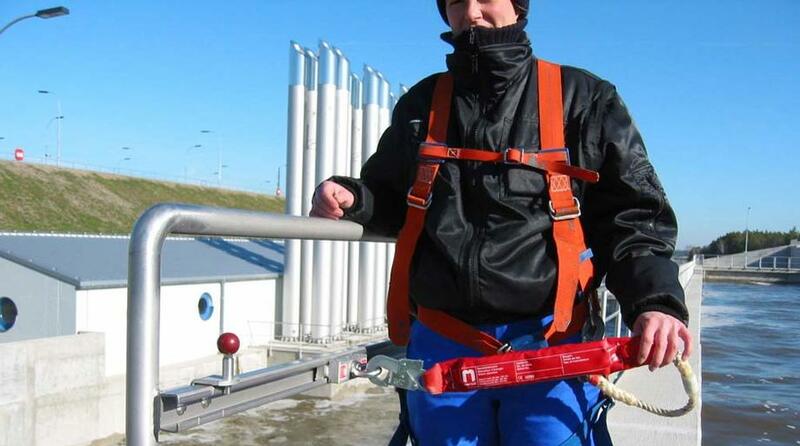 For overhead applications a retractable fall arrester can be used to provide the most effective means of protection. These can be fixed on the ground, walls or even overhead (fixing span of 1m). 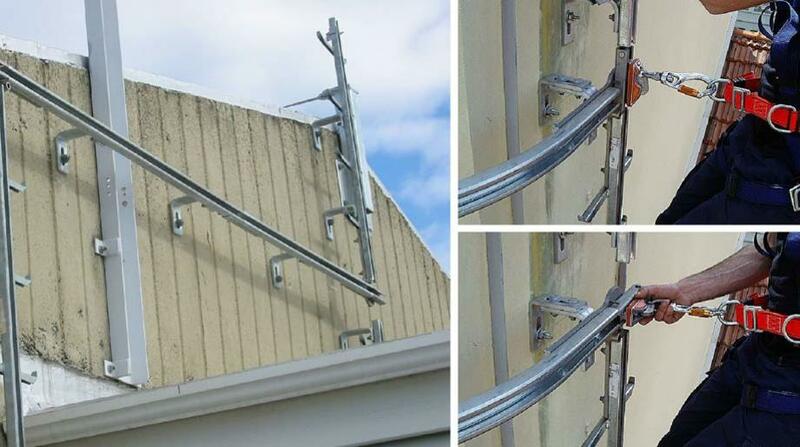 Available in lengths of up to 4m in straight or curved form and made of aluminium, galvanised steel or stainless steel. Suitable for up to 3 persons at a time. In combination with a Soll ascent route, the Comfort fall arrester can also be used on the rail. 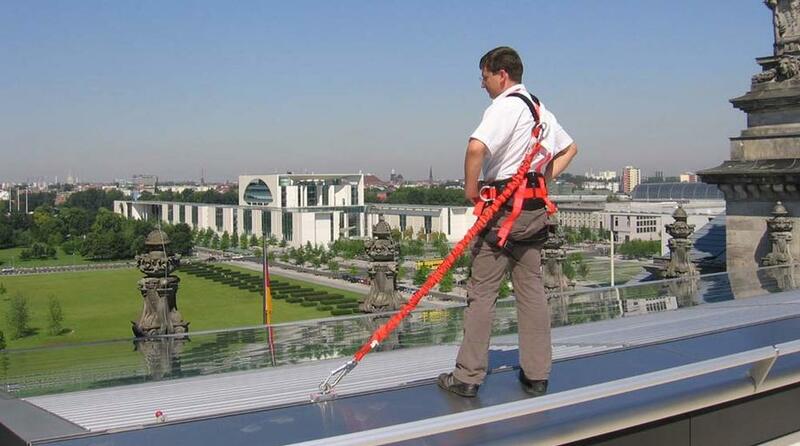 It allows continuous transfer from a ladder or vertical rail to a horizontal guide rail, e.g. while accessing a platform. It is not necessary to disconnect and re-insert the fall arrester. 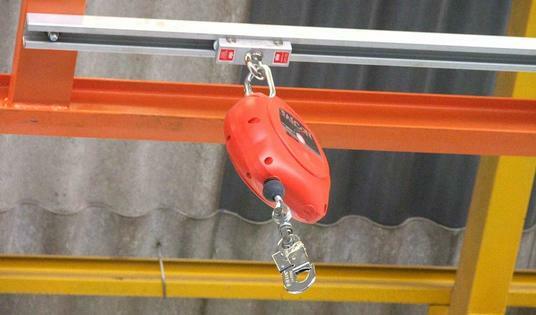 Glides automatically and smoothly in the guide rail, ensuring the user's connecting system (lanyard or retractable type fall arrester) is in the safest location, with minimal pendulum swing. 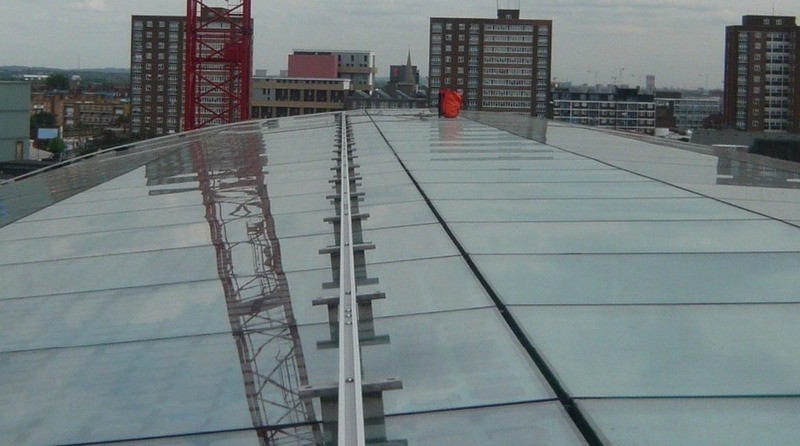 Apart from open-able end stops, a wide range of system accessories make it possible to design a system that is optimally adapted for the conditions on site. These include bends, mounting brackets, clamps, joint plates and identification plates among other things.